To support counseling services, transportation and the Nights of Safety program for victims of domestic violence. To provide Alzheimer's education, outreach and ongoing care support to 695 new clients in Jefferson County. To support disaster relief and preparedness programs in Jefferson County. To provide program support for grief services for children in Jefferson County. To support the wellness center at Valley Middle School. The center is focused on improving health-related behaviors and wellness. To purchase 6 new transport ventilators ensuring the same equipment on all of the agency's vehicles. To assist with the immediate needs of pregnant women and those with newborn babies and children under the age of 2. To provide services to survivors of brain injury and their families in Jefferson County. Brenden's Friday Backpack Program, Inc.
To purchase program supplies, including food for children in need for all schools in Jefferson County. To provide a safe walking/running track for students, staff and the community. To provide the burn and fire prevention program to Jefferson County schools and to provide 2-3 scholarships for children to attend the burn camp. To purchase gift cards that will be used to provide students with necessary clothing, shoes and coats. To increase services to youth in Jefferson County, including Signs of Suicide, the Olweus Bullying Prevention program and Family Support services. To provide the school based counseling program to Jefferson County schools which includes having on-site counselors in 6 area elementary schools and one area High School. To provide hearing and screening services at Jefferson County schools and Head Start centers and to provide the full-service audiology program for 28 people in Jefferson County. To provide services to Jefferson County children and families who are at high risk for or who have experienced abuse and neglect. To purchase new hydraulic rescue equipment to decrease extrication time. To install an outdoor warning siren at West City Park. The project will increase the coverage of the agency's warning system. To support a voucher program to provide quality dental care to adults that do not have insurance. To purchase permanent dental equipment for the Valley School Based Dental Clinic. To provide program support for advocacy services for children in Jefferson County. To support the agency's marketing efforts to reach and recruit potential CASA volunteers. To replace the filter system at the Crystal City Municipal Pool. To purchase resident computer workstations that will increase program and communication opportunities for the residents. To purchase necessary rescue equipment to reduce the amount of time it takes to get patients to quality care. Deaf Empowerment Awareness Foundation, Inc dba DEAF, Inc.
To expand deaf awareness training for first responders in Jefferson County. To provide home-based education services to children with a medical diagnosis of blindness or visual impairment and their families. To support outreach programs and immersive field trips to the HealthWorks! Kids' Museum for Jefferson County schools. To provide capital support for the new HealthWorks! Kids' Museum. To provide direct financial assistance to low-income individuals with disabilities and seniors and to assist with wheelchair ramps and home modifications. To implement a new training component for the home health aides and CNAs. To implement a new training component for Personal Attendants. To support program expansion through the purchase of 6 new vehicles and dispatch equipment. To provide program support to assist the agency in expanding the transportation program. The expansion would serve an additional 175 consumers per year. To support a free CPR, AED and First Aid program for community members. To purchase food and to assist with general operating expenses. To purchase 3 OAE machines to conduct hearing screenings for children under the age of 5. To provide direct financial assistance to individuals and families in need. To expand the Project Anti-Violence Education program to additional schools in Jefferson County. To support the Girls on the Run and Girls on Track program in Jefferson County. To provide home-based counseling and case management services for pregnant women in crisis. To implement a tower garden program that will educate students on growing fresh produce and healthy eating. To support the Incredible Years Parent Education program for 96 families in Jefferson County. To assist the agency in providing clients with pregnancy tests, ultrasounds, health-related educational materials and basic needs. To support the toy and food distribution programs. To support the Socks of Love program that provides basic needs supplies to individuals and families in need. To support the agency's equine therapy program for people with disabilities. To purchase customized therapy saddles and to increase ADA access. To construct a shelter over the entryway to provide cover for the agency's clients during inclement weather. To assist the agency in developing a new business line and increasing work opportunities for adults with developmental disabilities. To provide scholarships to 15 students entering the health occupation programs. To assist with the renovation of the library which is highly used by students in the health occupation programs and community members seeking health information. To support the Holistic Wellness program that is serving students, faculty and staff. To support the Nurturing Skills for Families and Home Repairs programs. To support the development of a transportation plan for Jefferson County. To provide matching funds for the purchase of 4 new buses for JeffCo Express. To provide program matching funds to support JeffCO Express. To provide assistance with home repairs as a result of the December 2015 flood. To install an interior fire sprinkler system in one of the agency's residential facilities. To support facility upgrades including refinishing the gymnasium floor. To install a sprinkler system in the agency's facility. To support the agency's youth sports, aquatics and health and wellness programs. Jefferson County Foster Children's Fund, Inc.
To provide basic needs supplies to children in foster care in Jefferson County. To support the agency's Community Health Assessment project. To support the 3/4/67 healthy lifestyle educational program and activities. To provide support for substance abuse prevention programs and to develop youth leaders. To upgrade the agency's technology. The upgrade will increase the number of clients served. To support the agency's basic needs program which includes purchasing car seats and cribs. To assist the agency in repairing its outdoor cooler. To provide short-term placement for youth offenders who have mental health issues to allow for a treatment plan to be developed. To purchase specialized equipment for use by the Circuit Court to assist persons who are deaf or hard of hearing. To provide a safe driving awareness program in 11 public high schools in Jefferson County and to Jefferson College. To provide scholarships for the residential summer weight loss camp for kids. To provide mental health counseling services to Jefferson County residents. To purchase fire suppression and detection equipment. To increase training opportunities for the agency's firefighters. To assist with the purchase of an additional MRI unit for the hospital's imaging department. To support public education programs focused on healthcare and insurance in Jefferson County. To support the Victim Services program in Jefferson County. To support the Crisis Intervention Team program in Jefferson County. To support the Prevention Leadership Conference and Red Ribbon Leadership Training program in Jefferson County. To purchase and install a back up generator for one of the agency's facilities. To provide direct financial assistance to students and their families. To provide nurse home visits to underserved families in Jefferson County. To support the Medical Case Management and Keystone Mental Health Services programs in Jefferson County. To purchase a vehicle for picking up donated food. To purchase diapers, wipes and books that will be used to encourage program participation. To provide developmental and health screenings to children in 4 local school districts. To purchase vision screeners and to calibrate the hearing equipment. To purchase diapers, wipes and books to encourage program participation. To upgrade the agency's lighting system. To purchase a truck for the food pantry to assist in picking up donated food. To upgrade the agency's information technology infrastructure. To expand the Family Solutions for Kids program to Jefferson County. 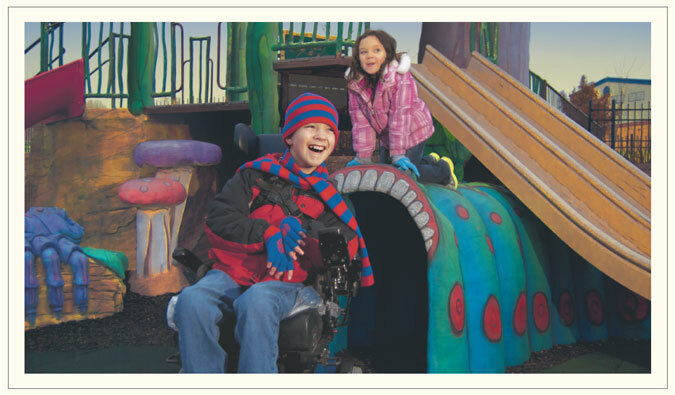 To purchase program supplies and equipment for the respite program. To expand residential services for persons with disabilities in Jefferson County. To purchase a horse trailer to assist with off-site programs. To conduct vision evaluations and to work directly with students who are blind, their teachers and therapists to create an individualized education program. To provide equine therapy scholarships and program support. To renovate the agency's second Care Connections building to increase mental health services. To purchase an Eartec Wireless Headset system to increase communication between coaches and players with hearing disabilities. To provide direct financial assistance to veterans and their families. To support the development of year round programming at Sunnyhill Adventures Camp. To create an outdoor walking/jogging trail for student and community use. To support the agency's education program and to help clients stay on track with educational goals. To purchase a home for the female residential program. The new facility will increase the number of clients served in the substance abuse program. To expand the RESCUE program to Jefferson County schools to ensure that children have access to life-saving asthma equipment and medication during the school day. To support foster care and adoption services in Jefferson County. To support the Student Advisor program and to create 3 4-year scholarships for Jefferson County students. To support the agency's mission and programs. To provide dental services for children and pregnant women in Jefferson County who are low-income. To purchase dental equipment that will expand and enhance services. To purchase x-ray integration equipment and to provide a continuing education opportunity for the agency's staff. To purchase a cardiac monitor and 2 ventilators. This will ensure that all of the agency's life support ambulances can provide the same level of patient care. To purchase assistive technology devices to provide nonverbal children with a tool for communicating. To support the agency's back-to school program that addresses basic needs of children and their families. To purchase AED units and for AED/CPR training for staff and volunteers.